Valuentum Announcements - Valuentum Securities Inc.
We’re excited to usher in the New Year, and we hope you are, too! 2017 has simply been amazing. Do you remember the last time the market advanced during each calendar month during the year? Me neither. Rarely in the last half century have the stars been so aligned for U.S. stocks. The collapse in volatility and mid-year slump in bond yields has helped investors earn the third biggest risk-adjusted return from U.S. equities in 50 years, according to Bloomberg Sharpe ratio calculations. We’re witnessing history, and frankly, I’m glad that the Valuentum process is one that keeps readers engaged in market developments. As I’ve said before, true intrinsic-value investors may have been out of the broad market years ago. From the market-cap-to-GDP ratio to the cyclically-adjusted price-to-earnings ratio to the forward price-to-earnings ratio on the S&P 500 (SPY) to anecdotes regarding Tesla’s (TSLA) and Netflix’s (NFLX) valuations, to the surge in cryptocurrency prices, the writing is on the wall that things are getting a bit frothy, to say the least. I wanted to make you aware of a few things as we head into the New Year. First, we’ll be releasing the January edition of the Dividend Growth Newsletter and the inaugural edition of the High Yield Dividend Newsletter on the first of the month. 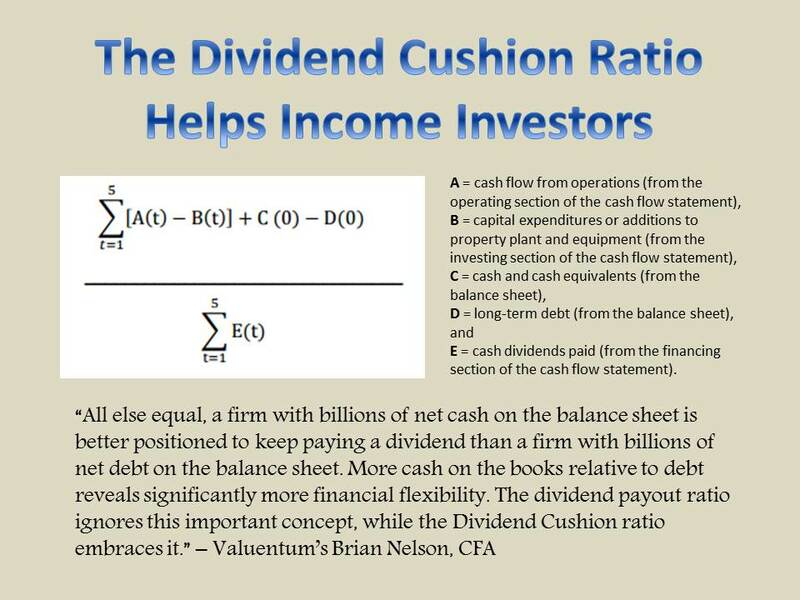 Please plan to receive the Dividend Growth Newsletter in the morning, and if you have subscribed the new High Yield Dividend Newsletter in the evening. We have a very exciting new simulated newsletter portfolio in the new newsletter, so please be sure to subscribe here if you haven’t already. For Nelson Exclusive members and for financial advisor level members, we’ll be releasing both the January edition of the Nelson Exclusive and the quarterly financial adviser publications (DataScreener, Ideas100, and Dividend100) on the 6th of January. There is a lot of content coming your way in a short period of time. I also wanted to thank you for your feedback and questions on my new series “Off the Cuff.” I hope you find the videos “oozing with personality,” and me much more relatable in person than in the written word. I like to keep things real. The videos, for example, aren’t made to be super fancy with bells and whistles, as I want them to be down to earth, as if you and I were having a cup of coffee together, and I just speak what’s on my mind. Ten minutes is a long time for any video, but I think you get a ton of information in them for your time spent. I have included links to the first 12 episodes below, and if you haven’t read our updated report on the Banks & Money Centers industry here, please do so. It covers a lot of the lessons I learned from the Financial Crisis, which seems only like a distant memory given current market conditions. I won’t ever forget it though, and neither should you. In a brand new video series called "Off the Cuff," President of Investment Research Brian Nelson gets in front of the camera and talks for about 10 minutes each episode. It's low-tech, but it's "authen-tech," and we like that. We'll do our best to incorporate feedback and answer member questions along the way. Don't Miss an Episode of "Off the Cuff!" Episode 12: President of Investment Research Brian Nelson talks about how financial statement analysis keeps analysts objective. He also goes into how the distribution yields of MLPs may not reflect underlying business dynamics. Nelson also explains an inconsistency in the use of financing that supports the idea that MLPs are using external capital market issuances to fund distributions. Running time: ~15 minutes. Episode 11: President of Investment Research Brian Nelson gives a plethora of reasons why the dividend discount model is dead and expresses his worries about how it continues to be used academically and professionally. Also included is a discussion about why the weighted average cost of capital, or the WACC, is used in the enterprise free cash flow valuation process, or the free cash flow to the firm process. Running time: ~13 minutes. 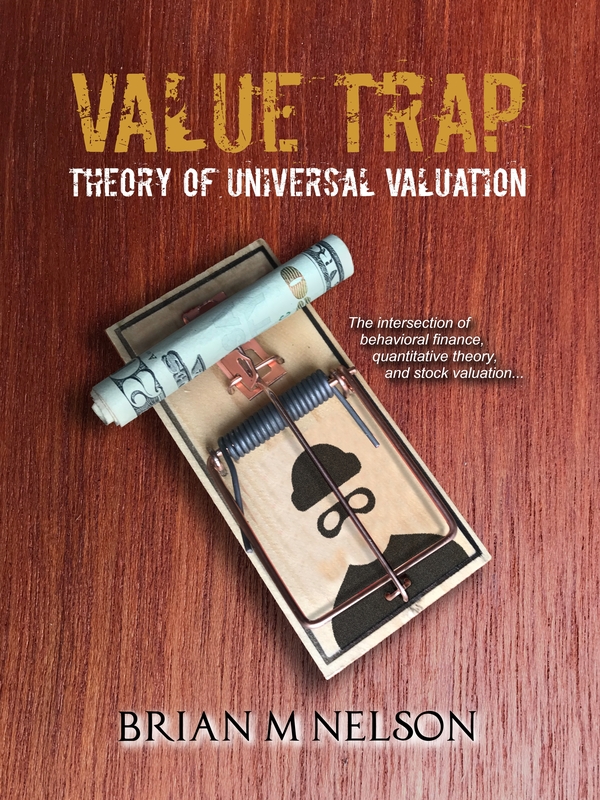 Episode 10: President of Investment Research Brian Nelson defines the concept of universal value and shows how quantitative statistical methods are inextricably linked to those of fundamental, financial, business-model related analysis. Value does not exist in respective process vacuums! Value is universal. Find out why. Running time: ~10 minutes. Episode 1: President of Investment Research Brian Nelson talks about the non-zero probability of nuclear war, lofty equity market valuations, the impact of ultra-low interest rates, the Bitcoin phenomenon, the importance of paying attention to financial adviser fees, as well as the pitfalls when it comes to assigning styles to ETFs. Running time: ~11 minutes. Episode 2: President of Investment Research Brian Nelson talks about the tragedy of the investment business in using backward-looking information, the absurdity of making prognostications about stock market returns, market sentiment through the price of Boeing, applying future forecasts and predicting dividend cuts with GE, and why Valuentum's methodology makes sense for long-term investors. Running time: ~10 minutes. Episode 3: President of Investment Research Brian Nelson talks about what causes a stock pricing bubble, notes how the "price setters" are disappearing in today's market, explains the pitfalls of backward-looking multiple analysis, and shares his thoughts on the CAPE (cyclically-adjusted price-to-earnings) ratio. Running time: ~11 minutes. Episode 4: President of Investment Research Brian Nelson details his simple new theorem of the stock market that may change everything you believe. Nelson explains using poker as an example, and he goes on to caution about the concept of inertia, and how investing has somehow transformed into a "game" -- if investors truly believe there are 'value' and 'growth' stocks. A must-watch intrigue. Running time: ~11 minutes. Episode 5: On episode 5 of "Off the Cuff," President of Investment Research Brian Nelson talks about...well...himself, and why it's worth listening in on his views. He also explains the Firm Foundation dynamic that differentiates stocks from most any other investment, and he goes into what makes value and technical analysis tick. Get inspired. Running time: ~11 minutes. Episode 6: President of Investment Research Brian Nelson answers questions about the stock market and investing. Keep the emails and comments coming! Running time: ~10 minutes. Episode 7: President of Investment Research Brian Nelson reviews important topics from the first six episodes of "Off the Cuff," and goes into great detail about all the intricacies of "cash flow" from traditional free cash flow to enterprise free cash flow valuation. You know you want to watch. Running Time: ~14 minutes. Episode 8: President of Investment Research Brian Nelson talks about his views with respect to backtests versus walk-forward tests, and explains why the PE ratio is doomed as a value tool. It's all psychological. Running Time: ~12 minutes. President of Investment Research Brian Nelson talks about the importance between prices and valuations quoting a recent Fed statement. He also goes into what truly constitutes investing versus speculation. You can't miss it. Running time: ~11 minutes.